Hello there, thank you for looking at my profile. 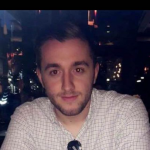 My name is Max Kalogirou and I am a 24 year old Room Manager at an outstanding Pre-School in Weybridge and I am currently looking for some more babysitting work on weekday evenings and also on daytime and evening at the weekends which would be for families looking for a consistent babysitter for the future (I have a vast amount of babysitting experience.) I am based in Molesey but I am able to travel to all surrounding areas in Surrey and also in Middlesex. I have currently worked with children for 7 years since I was 16 and have done previous babysitting for numerous families at the nursery I currently work at. I am a confident, trustworthy, outgoing and reliable young individual, who wants to offer the highest level of childcare and I also have a driving enthusiasm for working with children. I absolutely love my job and the rewards it gives me every day. I am here to offer a completely different experience as well as a male babysitter who has a wealth of experience in the industry, I am very sporty and outdoorsy and love the job that I do. I have just recently undertaken a level 2 forest school course to enhance my understanding and experience of outdoor activities. I love organising different activities as well - I feel I’m a very creative person and different in the way I approach activities. I have had senco experience, completing senco courses through my current employer as well as working with and babysitting for twins who had special needs. I would also be interested in a consistent nannying job for one day in the week every week all day. If this would also interest you please get in touch, or I’d be able to just do school runs/pick ups on the same day each week. I currently work four days per week from 8-6pm and have a day off which changes but if needed I could get the same day off of work each week. If you have any further questions about myself please don't hesitate to message me. I do not drive but have my own means of getting to and from destinations. I have currently worked in my nursery in Weybridge since October 2012, starting out as a nursery apprentice and completing my Level 3 NVQ certificate in June 2014. I am now the Room Manager in the Pre-School room (3 to 5 years old) and have been since March 2016. In the room we can have up to 32 children at one time. I have worked with children of all ages, from 3 months to 14 years old. I have done numerous school pick ups as well for a family at the nursery as well as taking children home and looking after them for a number of hours. I have done daytime babysitting and nannying jobs which have differentiated from short hours to full days before on my days off and also have completed different amounts of hours during these days. I have completed overnight and weekend babysitting for families also. This is something I would be interested in. I have a vast amount of babysitting experience, which began in January 2013 when I was 18 and would now love to further the amount of babysitting I currently do. In our most recent OFSTED report at my nursery we recieved a level 1 (outstanding) from OFSTED from January 2018 my room, preschool, achieved outstanding as well. I have also just began coaching Little lions rugby on a Sunday morning in Esher - this consists of teaching 20 2-4 year olds basic rugby skills as well as gross motor skills and enhancing their physical development. In November 2017 I completed my Level 2 Forest school assistant course as I absolutely love working in the outdoors also. I have been trained in speech and language also and have helped a few children at the nursery I currently work in with their speech delay. I also did a small amount of work experience in June 2010 at a nursery in Hampton. Every weekday from 6pm onwards for babysitting. Every Friday anytime after 6pm and on Saturdays and Sundays any time in the day or evening when needed. I am available for overnight babysitting or full weekend Babysitting also. 1 weekday of consistent nannying the same day each week. Message me if this could appeal or interest you. Babysitting fees £9/£10 an hour. This can be discussed/negotiable when speaking to or messaging myself. Any questions or enquiries please send me a message. Below are the latest reviews for Max Kalo. Please note that reviews represent the subjective opinions of other Childcare.co.uk users and not of Childcare.co.uk. Parents must carry out their own checks and references on childcare providers to ensure that they are completely happy before enaging in the use of their services. Max is the room manager at the nursery my daughter goes to, and he is great. Would definitely recommend him to look after young kids as he has good experience, very kind and enthusiastic. Max is a fantastic babysitter. He is communicative and reliable and developed a good bond with our son. No hassles which is what most parents are looking for. I have no hesitation in recommending Max. Our regular babysitter was on holidays and we needed to find someone who can handle our 2 boys and little girl. Max was happy to have a meet and greet session at our place before the babysitting day. We got to know him and the kids could also see who would be looking after them. Max won the boys' respect in that he knew how to play their PS4 games and our little girl, who is always hard to please, accepted him as her babysitter and still remembers him now. Max listened to what we needed - playtime, when to feed them, what snacks they are allowed, when to get them to bed. All went exactly as expected and the place was kept tidy on our return. Kids were in bed and it was a lovely peaceful evening. We used Max for a couple of years, he always turned up to every session and on time. He was great with my little girl and boy playing continuously with them and putting them to bed on time. Max is super trustworthy we had to stop using him as we needed to employ an Au Pair. The kids were asking about Max the other day so would love to get him round to ours to do a catch up baby sitting session. I know Max as he was the nursery room manager where my daughter went. He is undoubtably the best nursery staff I have come across as he paid great attention to any feedback I had and made sure he brought any concerns to closure. He is full of ideas, energy and enthusiasm and keeps children engaged and entertained very well. He is always forthcoming to offer any help outside the nursery hours and very prompt in providing any updates that may affect you. I would highly recommend his services.